Enjoy an icy pour every time with the Silhouette Pro outdoor-rated keg cooler. 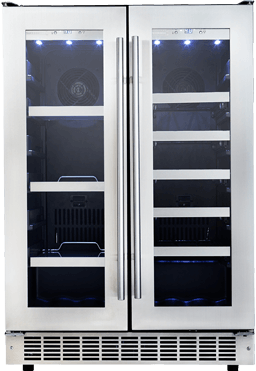 Designed and built for the outdoors, fully wrapped in protective stainless steel with matching door handle, toe-kick, and tap and tower – this keg cooler is built to withstand even the harshest outdoor elements. 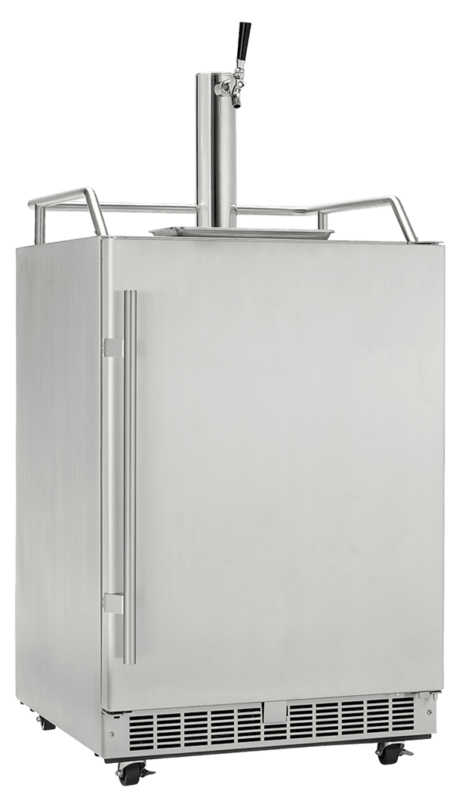 Front ventilation makes building this keg cooler into any outdoor kitchen or bar easy. Or use it freestanding and serve up cold draft beer to friends on your deck or inside the pool house. You have everything you need to go from keg to glass, including Silhouette’s Premium Tap-right™ tap tower, coupler and regulator, all made in the USA. The Silhouette Pro outdoor-rated stainless steel keg cooler is the pinnacle of backyard entertainment. 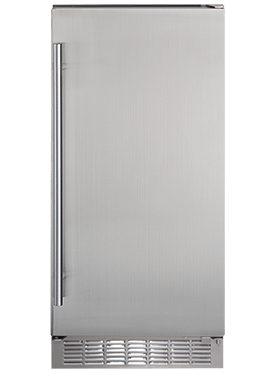 Corrosion resistant, full wrap 304 stainless steel chassis, door handle, toe-kick, and tap and tower. 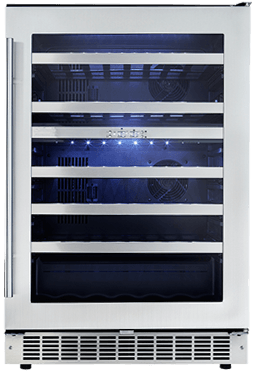 This keg cooler can withstand even the harshest outdoor elements. 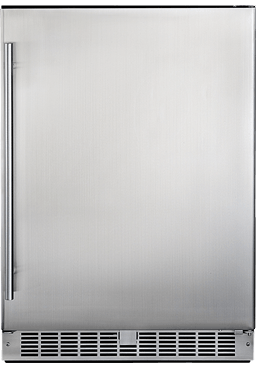 Polished 3″ insulated stainless steel tower with drip tray ensures you have an icy pour every time with no mess. Four castors make this keg cooler easy to move around. Weather’s not cooperating? Move the party inside. Two straps keep the CO2 cylinder secure inside the keg cooler cabinet for easy access when built in.